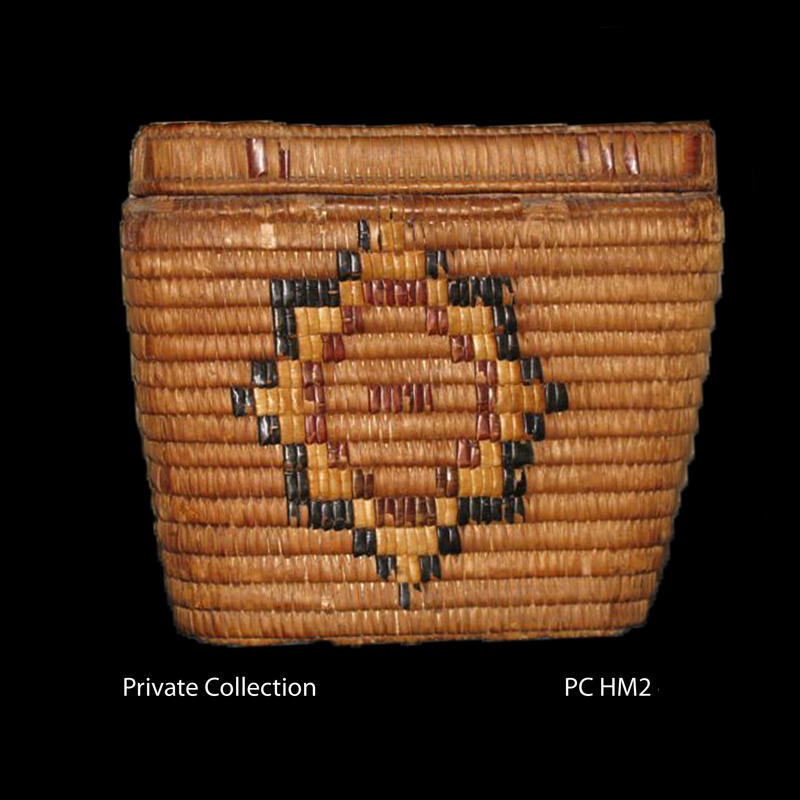 This basket follows the convention used by many, though not all, northern Coast Salish basket makers, wherein the bottom-most wall slat is left undecorated except for clusters of imbricated lines which may have been used for identification purposes. In this case these lines appear around the lid rim and not along the basal wall strip. 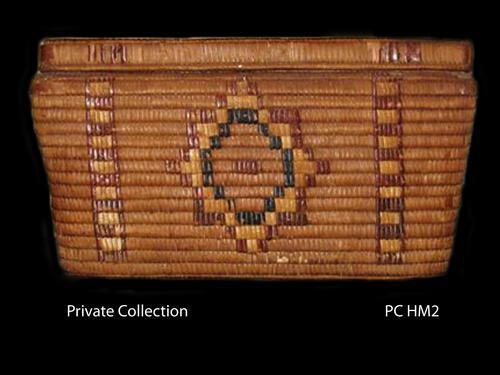 This basket and PC HM1 were acquired by Dr. Andrew Henderson of Powell River around the turn of the last century. Date of manufacture: believed to be c. 1900. Motif: Sun? design flanked on either side by a ladder-type design (see photo below). 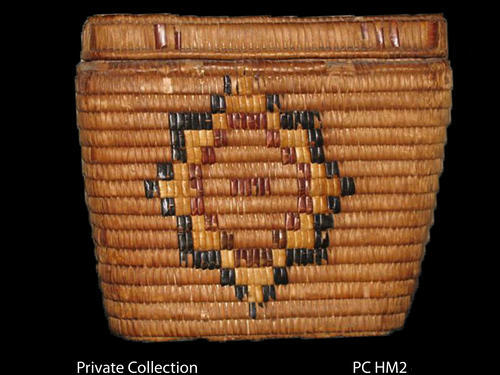 Description: Rectangular slat coiled storage basket with lid. 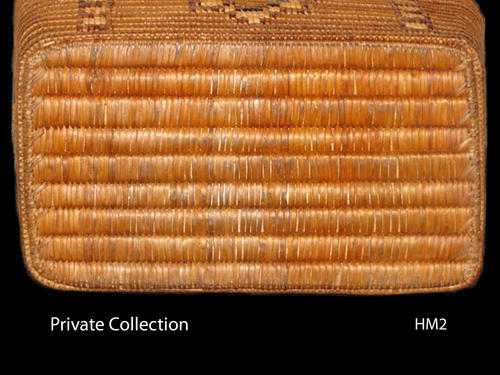 Technique: Slat coil and bundle coil construction; imbricated designs. 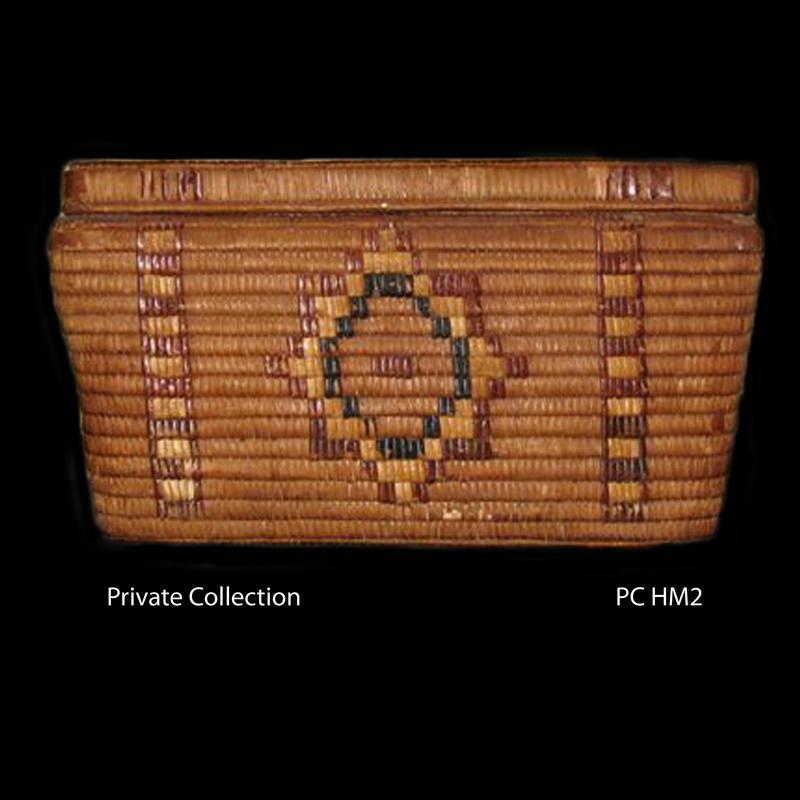 A single row of bundle coil runs around the bottom edge of the lid rim and the basket wall. Lid and base slats also have a section of bundle coil butting up against the ends. 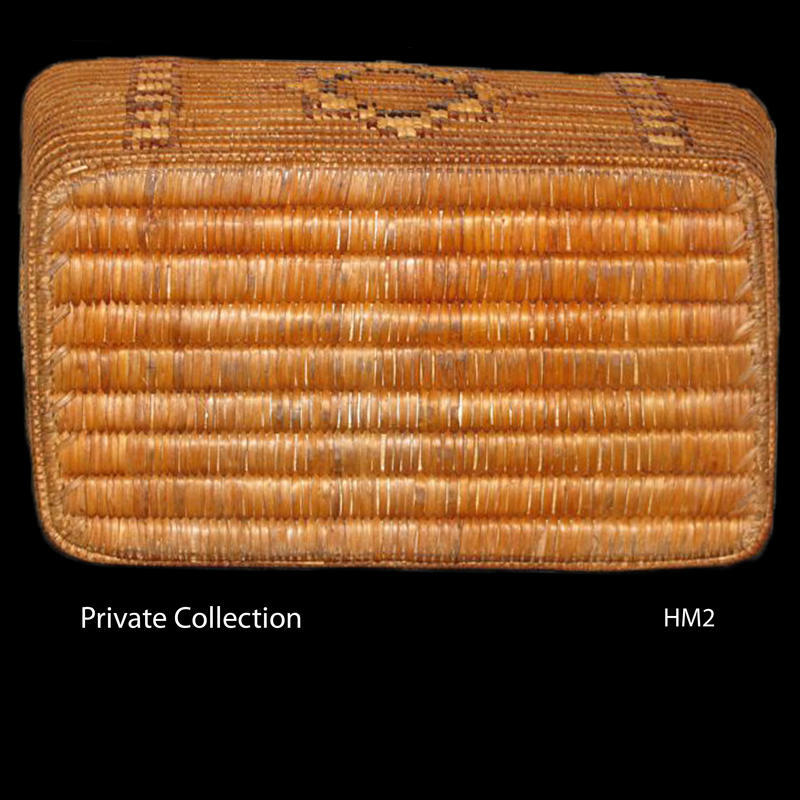 Type __ stabilizing stitches are used on the lid and base.